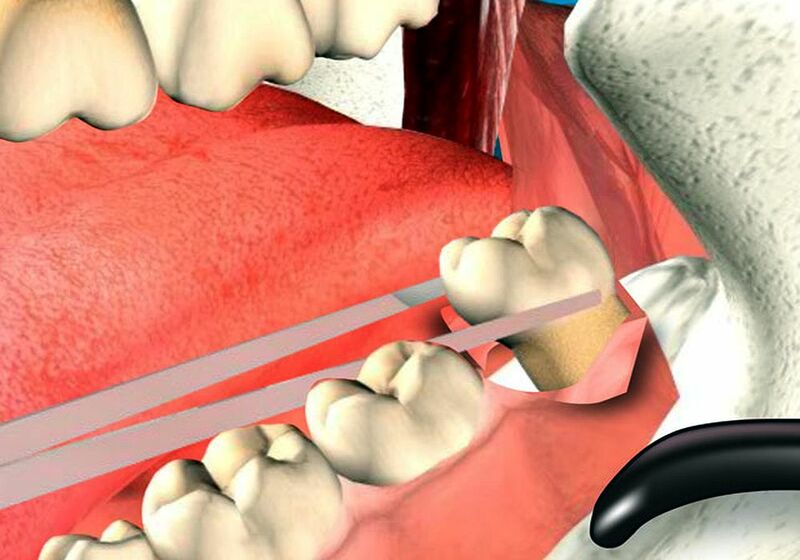 Third molar surgery is one of the most common procedures performed in oral and maxillofacial surgery offices. Nevertheless, this procedure requires accurate planning and surgical skills. With surgical procedures in general, complications can always arise. The reported frequencies of complications after third molar removal are reported between 2.6 percent and 30.9 percent. The spectrum of complications range from minor expected sequelae of post-operative pain and swelling, to permanent nerve damage, mandibular fractures, and life threatening infections. Minor complications are generally defined as complications that can recover without any further treatment. Major complications can be defined as complications that need further treatment and may result in irreversible consequences. Although impacted third molars may remain symptom-free indefinitely, they may be responsible for significant pathology. Pain, pericoronitis, development of periodontal disease on the second molar, crown and/or root resorption of the second molar, caries in third or second molars and TMJ-symptoms are associated with retained third molars. More significant pathology such as fascial space infections, spontaneous fracture of the mandible, and odontogenic cysts or tumors may also occur.